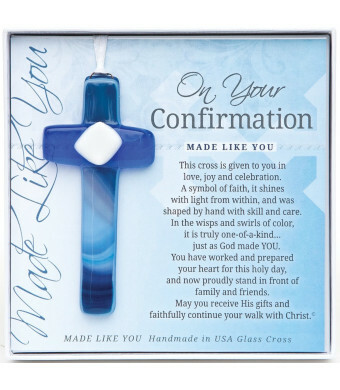 Boxed Confirmation Cross for Boy comes in 5.5x5.5 in white box with clear lid and Confirmation poem copyright Teri Harrison. 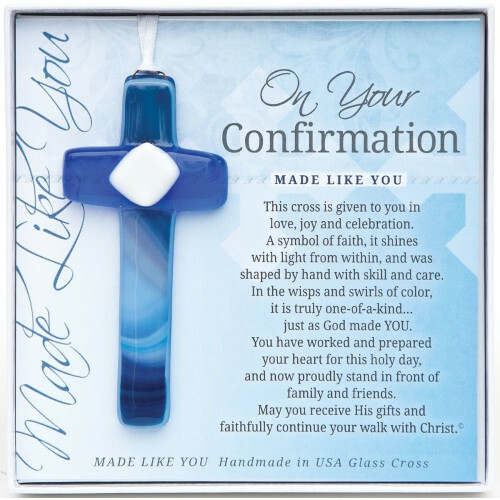 Handmade in the USA blue glass cross measures 4 and hangs on white satin ribbon for year-round display. Manufacturer: The Grandparent Gift Co.